Since completing my Retirement Income Certified professional designation as well as the research I have completed in the past few weeks, I’ve come across several articles highlighting the difficulties in retirement for women…and for good reason. Here are just a few of the startling facts. Unfortunately, women are…. The data is clear; women prepare for and enter retirement at a financial disadvantage. This week, let’s take a look at a few of the reasons why. Today, the average American male can expect to live 76.2 years, whereas the average American female can look forward to 80.9 years. Let’s say a man and woman both earned $70,000 per year while working and both retire at the age of 67. Based on average life expectancy, the man will need to support himself for a little over 9 years, while the woman will need to support herself for an additional 14 years. If a person needs at least 70% or his or her income to support himself/herself comfortably in retirement, the woman in this scenario will need at least $280,000 more than the man to support her retirement. Most women will enter retirement without that extra money and can potentially lose their husbands’ pension payments and some Social Security benefits upon his death. This reduces income at a time when living expenses due to long-term care and healthcare costs often rise dramatically. Times may have changed, but for most women in the Boomer generation, it was typical to stop working in order to provide care and nurture the children. Mothers may have worked a part-time job to help with the family finances, but generally they did not return to a full-time position for some time. On average, women take a permanent reduction in their Social Security benefits by taking Social Security at age 62 instead of deferring to their full retirement age, or age 70. The average for men is 64–two additional years to contribute and grow Social Security benefits. Additionally, the majority of women receive Social Security through spousal or widow benefits, not on their contributions. With a growing divorce rate and a decrease in people getting married or remarried, few women are eligible for spousal or widow benefits. This is significant when paired with the fact that compared with 20 years ago, nearly twice as many women over 50 are divorced. Widows must sacrifice their widow’s benefits if they plan to remarry before the age of 60. Studies have consistently shown that women earn less than men for the same work. Take a look at the graph below. There are many other contributing factors. The pool of jobs that allow mothers the flexible hours they need to care for children is a small one, and often women sacrifice pay for better hours. Some women don’t work long enough to make investing in a retirement plan seem worth it, and most part-time jobs don’t offer a 401(k) or other retirement plan. This decreases savings and prevents some women from meeting the work requirements to obtain Social Security disability benefits. Traditionally, it was the husband who met yearly with the financial planner about investments, budgets, and retirement plans. In cases where the husband passes away unexpectedly, the wife is often not prepared to understand her financial circumstances and necessities. But not only that, but when it comes to investing, statistics show that women favor lower risk and greater conservatism. This can work well if they had a fairly substantial retirement nest egg built up, but it doesn’t work well when you are in the accumulation phase. CD’s, Money Markets, Fixed Growth investments have their place, but apart from instruments that can give greater upside those vehicles alone can leave the retiree short of the needed accumulated savings to sustain a long retirement. Women are also more likely to stop working to take care of their parents or spouses’ parents once they become elderly. Ironically, participating in a parent’s healthcare may mean women would not have access to good health insurance plans if not through their husbands’ work. Again, every year not spent on the job means less income and savings. These five reasons alone make it necessary to have a different approach for women with regards to retirement income planning. Making sure they are are an active and vibrant part of the conversation (with their husbands) is essential. Using these five facts can help stimulate the dialogue, bring awareness, and facilitate preparation. 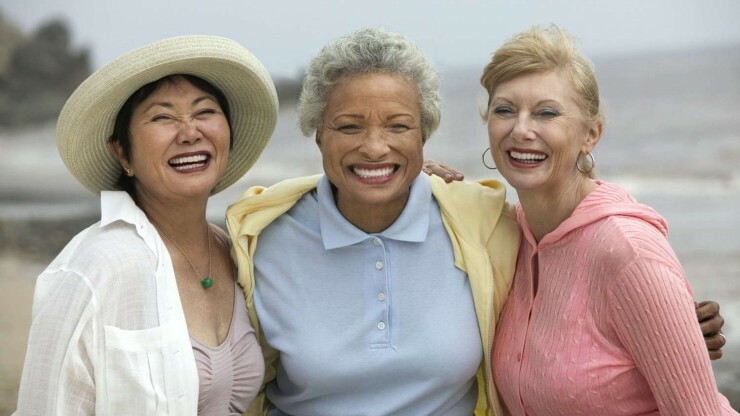 Next time, I will share about the Six Sources of Retirement Income for Women.